Peter Ducksworth, a Trinidadian widower of English ancestry, retires to Barbados, believing he will find an earthly paradise there. He decides to divide his land among his three daughters while he is alive, his intention not unlike that of King Lear who hoped "That future strife / May be prevented now." But Lear made the fatal mistake of confusing flattery with love, and so does Ducksworth. Feeling snubbed by his youngest daughter, Ducksworth decides that only after he dies will she receive her portion of the land. In the meantime, he gives his two older daughters their portions, ironically setting in motion the very strife he hoped to prevent. 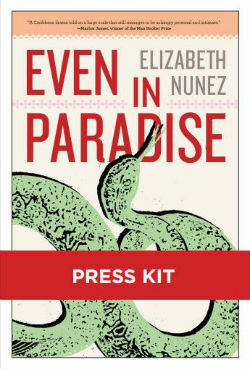 Elizabeth Nunez is the award-winning author of eight novels and a memoir. Both Boundaries and Anna In-Between were New York Times Editors’ Choices. Anna In-Between won the 2010 PEN Oakland/Josephine Miles Award and was long-listed for the International IMPAC Dublin Literary Award. 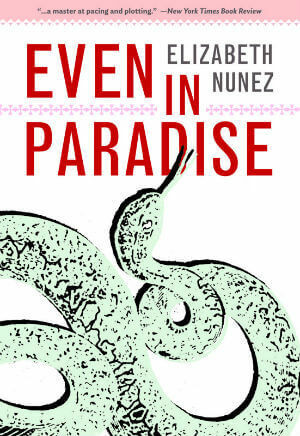 Nunez also received the 2011 Writers for Writers Award from Poets & Writers and Barnes & Noble, and a NALIS Lifetime Literary Award from the Trinidad & Tobago National Library. She is a Distinguished Professor at Hunter College, CUNY, where she teaches fiction writing. Tell us what do you think about Even in Paradise.